NBC's The Biggest Loser has taken the nation by storm as week after week, viewers tune in to watch the contestants' weight loss. Perhaps the most amazing part of the show is that the contestants actually eat real food and still lose weight. Now, thanks to The Biggest Loser Cookbook, you can eat like the Biggest Loser -- and lose weight. LoveToKnow (LTK): Tell us about your background. Chef Devin (CD): I grew up in Pennsylvania where I had an Italian Grandmother who taught me how to cook from a very young age. I never planned to be a chef, but as the years crept by, it became more and more obvious that I had a skill and the patience it takes to recreate America's favorites. I've been lucky enough to write over 100 magazine articles in great magazines like Women's Health, Prevention, Men's Health, and Runner's World. I've gotten to share my secrets on tv shows like Good Morning America, The View, The Biggest Loser, Discovery Health's National Body Challenge, and HGTV's Smart Solutions. And I'm the author of 2 cookbooks: Fast Food Fix, which shows Americans how to make much healthier versions of their favorite fast food dishes from the Big Mac to the Cinnabon and The Biggest Loser Cookbook, which accompanies the hit NBC show. LTK: As a teen, you were overweight. Tell us about your weight loss journey. CD: I dieted from the time I was 8-15 and got fatter and fatter. At 15, I swore off fast food and lost 25 pounds pretty quickly. Then, after being cranky because I was feeling deprived, I figured out that I could use my cooking talents to recreate my favorite dishes in a healthier way. I've now maintained a 55 pound weight loss for over 15 years. God only knows how much I would weigh if I'd never been blessed with a grandmother who taught me how to cook when I was so young. To this day, I just don't diet. LTK: How did you become involved with The Biggest Loser? CD: My first cookbook, Fast Food Fix was about to be released by Rodale, who was (conveniently) working with NBC to create the Biggest Loser Cookbook. Because I had a comprehensive list of tv appearances under my belt in addition to a book about to hit bookshelves that was projected to change the way people viewed healthy food (for the better), I emerged as the choice candidate. LTK: The show's contestants have access to chefs, trainers, and other professionals, things the average person just doesn't have. It is possible for the average person to achieve the same results? CD: Yes. I'm living proof of it. I lost 55 pounds well before I could afford a chef, trainer, nutritionist or even much in the way of groceries, really. I've kept it off for over 15 years, so if I can do it, so can others. And I was a kid, really. I had to do it through living in the college dorms. When everyone else was gaining the freshman 15, I was losing it. LTK: Tell us about the cookbook. 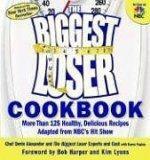 CD: The Biggest Loser Cookbook has recipes like Breakfast Banana Splits, BBQ Pork Sandwiches, Superior Spaghetti & Meatballs, BBQ Chicken Pizza, Parmesan Roasted Cauliflower, Chocolate Cherry Smoothies, and Sausage, Egg & Cheese Breakfast Sandwiches, that are all healthy! About 1/4 of the recipes are on-the-go type things by contestants and then many of the ones I created are still easy but more substantial -- they're also good enough to serve at dinner parties! They will definitely make your family think they aren't eating healthy even when they are! Also, there are bios of all contestants, tons of photos and other cool things from "The Ranch". The publisher did an amazing job with the food photography and I'm really excited about it in general. Though, in theory one could call it a "diet book", it's so NOT what you think of as a diet book. Oh, and there is very little sugar or white flour in the book, which is another big "skinny" bonus. But seriously, if you serve this stuff to your family, I bet they'll never know they're eating healthy food, which, in my opinion, makes this book an absolute must-have if you watch anyone you love struggle with healthy eating. LTK: What is your favorite recipe in the book? There are many others that I'm very proud of, as well. You will notice by the titles that this is not a "Diet" book. It's great eating for a healthy lifestyle. LTK: Can people lose weight just by following the recipes and exercise program outlined in the book? What kind of weight loss is possible? CD: People can absolutely lose weight. I'm a food expert more than a medical doctor who could project actual weight loss, though the contestants have proved that you can lose tons of weight -- and I eat these recipes and ones that are, in a sense, even more decadent (meaning ones with white sugar and the like, like the ones found in my first cookbook, "Fast Food Fix" that shows you how to make much healthier versions of fast food faves from Big Macs to Cinnabons) and have maintained a huge weight loss. LTK: What is the most important component of a weight loss plan? CD: Not feeling deprived. You can work out moderately and eat amazing food if it is prepared right. LTK: Your cookbook clearly shows that you don't have to sacrifice taste to lose weight. Are any foods off-limits? CD: Nope. Sure you can't eat hunks of brie all day long, but I eat everything I really want. (Emphasis being on the "really"). Most of my meals are made from lean meats, plenty of veggies and a small amount of complex carbs, though I do eat burgers every week without fail (ones I've made myself, of course). My snacks often include my favorite indulgence, which is chocolate fudge cake -- in small amounts, of course. I eat at least a tiny bit of sugar almost every day now and have for years and years. LTK: Is there anything you would like to add? 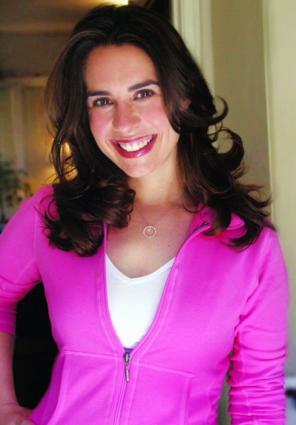 CD: Just that I really think this book could change the way people think about healthy food. I think the recipes are not at all what people would expect. I would also suggest that people buy the book and start making recipes without telling their loved ones that they are from a "healthy" cookbook -- wait to reveal that after they admit how much they love the food. People really have a stereotype about healthy food: people constantly assume that I'm a vegetarian when they hear I'm a healthy chef; that couldn't be further from the truth. I'm a meat and potatoes lover through and through. Visit Chef Devin Alexander's website for recipes, articles, books, and information about media appearances.